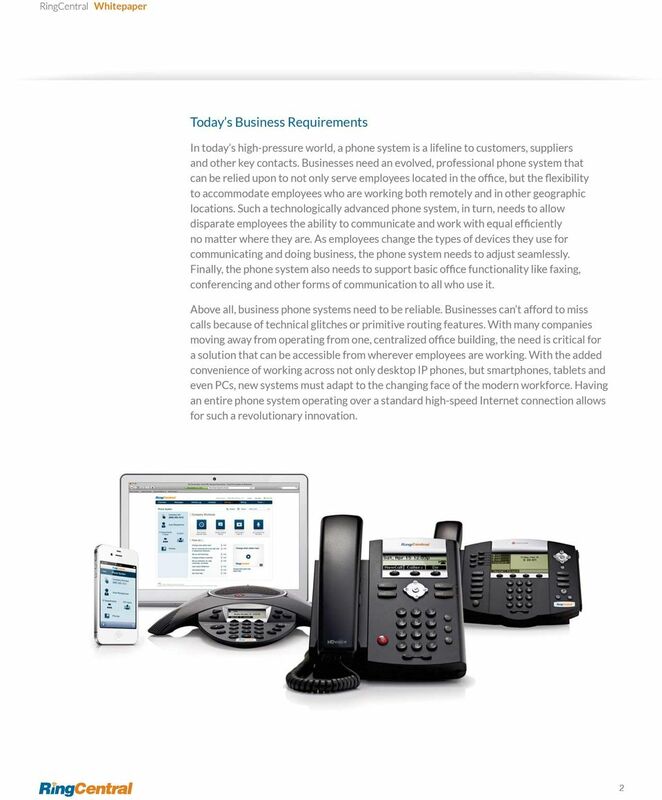 Download "More Than Just A Cloud-Based Business Phone System"
Cloud Communications Buyer s Guide for Small Businesses As a small business owner or manager, purchasing, implementing, and managing solutions can become a time-consuming task with unforeseen challenges. 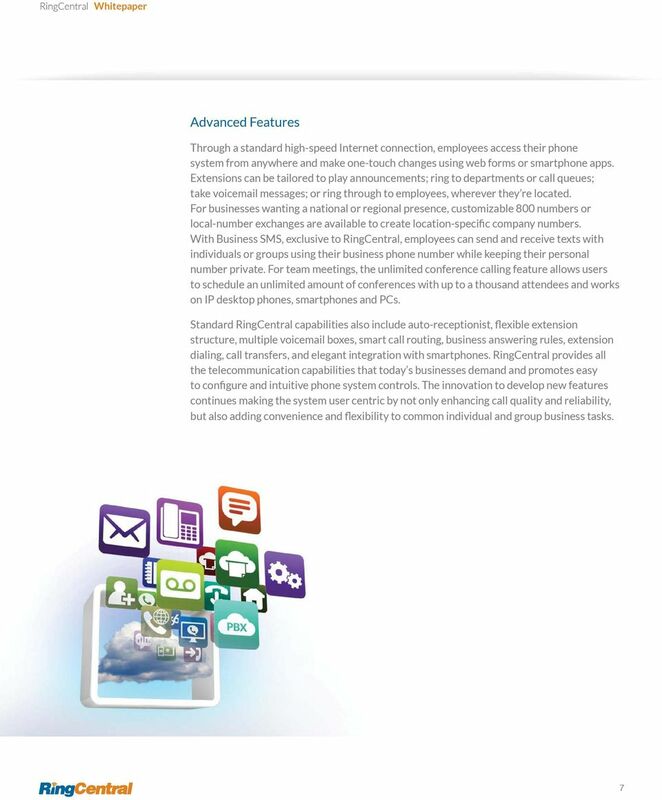 Learn what a cloud phone system can do for your business. 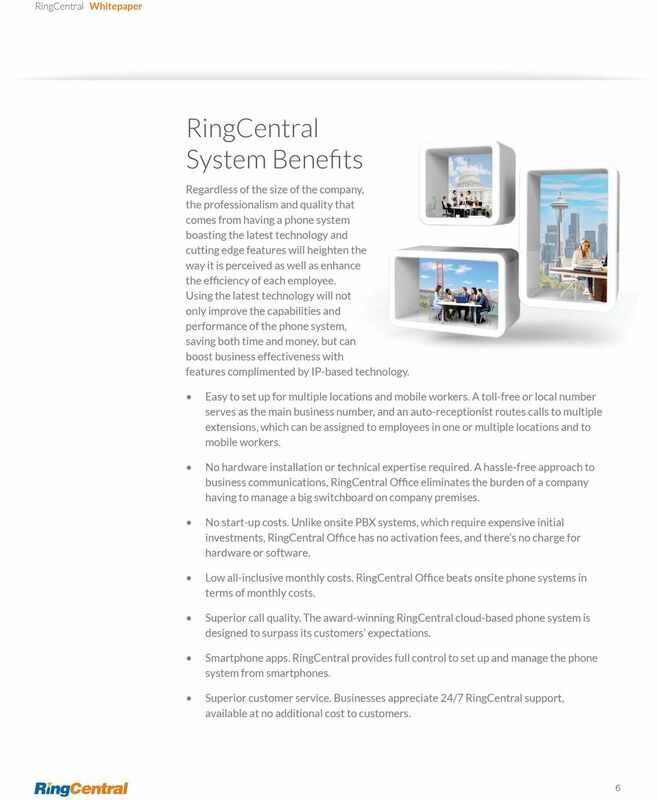 RingCentral Office Product Overview UK. 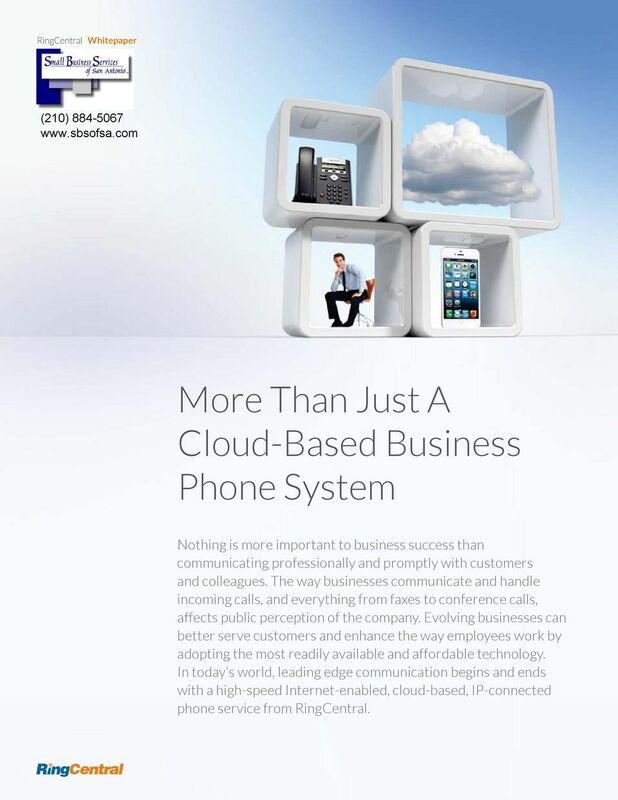 Learn what a cloud phone system can do for your business. 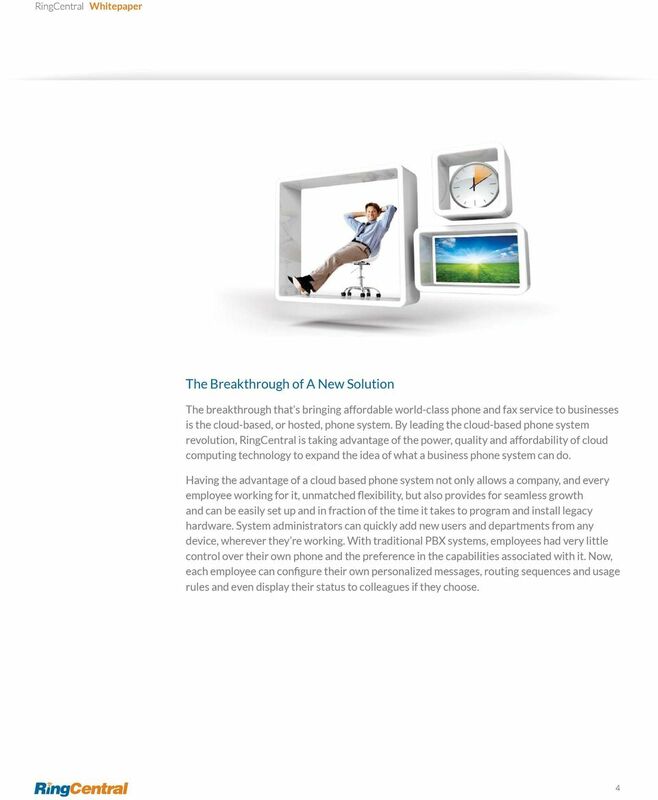 White Paper How a cloud phone system uniquely supports your mobile workforce How a cloud phone system uniquely supports your mobile workforce What s the first thing you do when you wake up in the morning? RingCentral Office. Learn what a cloud-based phone system can do for your business. The all-in-one Unified Communications solution for SMBs. At Work. At Home. And Everywhere In-between. At Work. At Home. And Everywhere In-between. IntelaCloud Turn Key Solutions IntelaCloud is a (CLEC) competitive local exchange carrier with over 20 years experience in the telecommunications industry. Is a Total Sky Cloud-Based Phone System Right for My School District? CloudPBX. A Big Business Phone System without the Big Business Price. Are you ready to upgrade your communications services? RingCentral Office System. Cloud-based phone system for your business. BT Cloud Phone. A simpler way to manage your business calls. Business leaders, meanwhile, are looking for reporting that will help them drive efficiency and maximize returns on their technology investments. 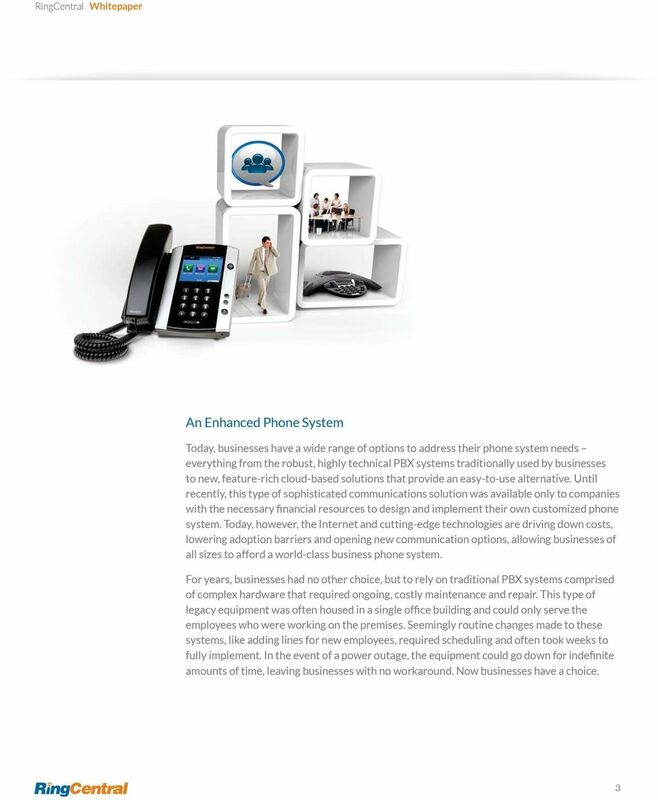 A COMPLETE BUSINESS COMMUNICATIONS SOLUTION The Ipiphony IP-PBX is a versatile, mobile, fully featured telephony system that offers leading-edge functionality in a simple-to-use, simple-to-understand package. Telephony Telephony more than just a phone system. TELEPHONY BE A PRIORITY FOR YOUR BUSINESS? RingCentral Office Proposal CANADA. 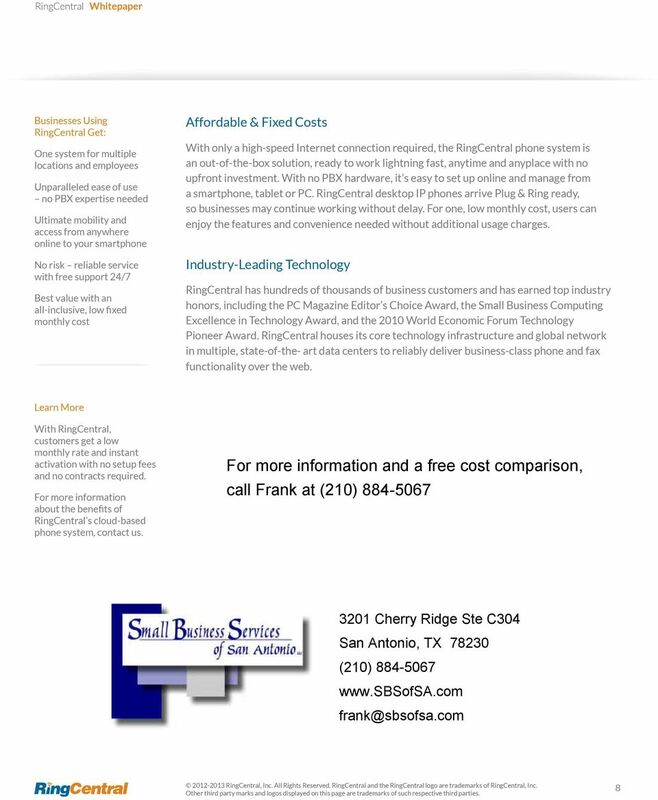 Learn what a cloud phone system can do for your business. Why prioritise cloud telephony for your business? RingCentral Office Essential guide. 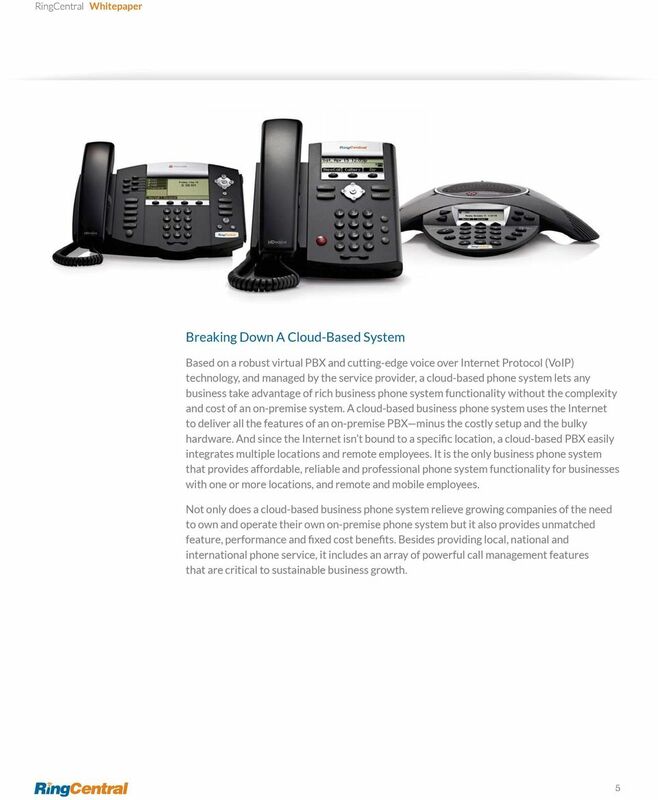 Learn what a cloud phone system can do for your business. Small Business solutions You ve worked hard to achieve the freedom and independence of your own business. Technology shouldn t get in the way of enjoying it. A phone system that helps me run my business?